Cucina Bella specializes in custom cabinetry solutions in Edmonton and it’s surrounding areas. 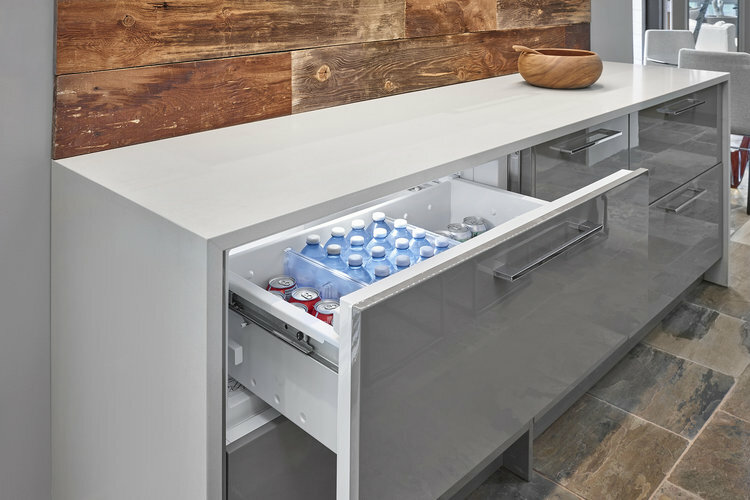 Our Certified NKBA designers assist in customizing your cabinet design for both beauty and function. Beauty through material choice function through incorporating design style, vision and the lifestyle needs of our clients. Our services include: private design consultations, detailed cabinet design plans and drawings, colour and finish selections, and accurate site measure, cabinetry order and installation. Working closely with our clients, we create customized kitchens, bathrooms, entertainment areas, wardrobes and home offices. Boasting a warm colour palette of subtle, earthy, grays & browns, the home is filled with natural texture. The basement cabinetry brings an energetic departure from the refined main floor. 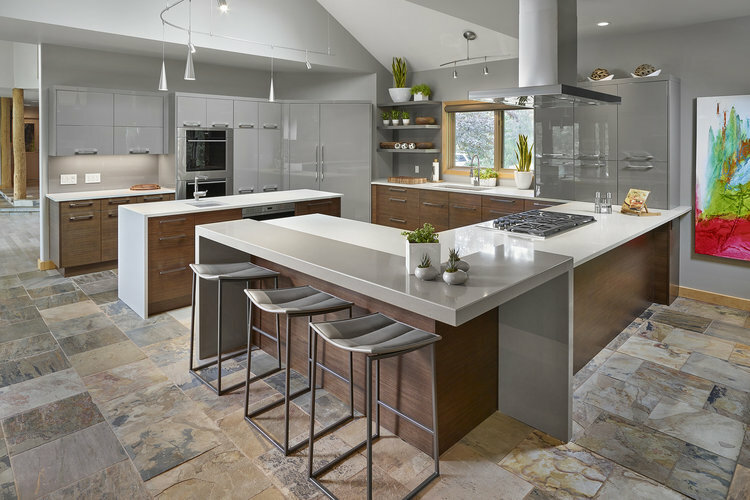 Perfectly balancing the richness and warmth of rift cut horizontal grain walnut with sleek high gloss grey cabinets inspires a second look at this light & bright welcoming space. White shaker cabinetry with white veined quartz counter top, polished chrome Italian cabinetry hardware and stainless steel appliances updates this classic home.